They say insanity is doing the same thing over and over expecting different results. So, why then are you, yet again, stuck in traffic in Beverly Hills on Big Santa Monica Blvd.? At least, this is what you’re asking yourself when you’re running late, all the radio stations are playing commercials, there’s a cop right behind you, and you look out the window to see that Beverly Hills has curated a steel pile of poop. Well, kind of. Roxy Paine is an American sculptor who is known for his “dendroid” sculptures that are like trees, but made of steel. He often replicates nature in his work, which he then refers to with loose fitting titles like Distillation and Defunct. This piece, Erratic, actually refers to a geological anomaly where a boulder makes a home somewhere it’s not supposed to be by doing something like hitching a ride on an iceberg in a prehistoric flood. Paine’s works highlight our struggle to find balance between the natural and the unnatural. 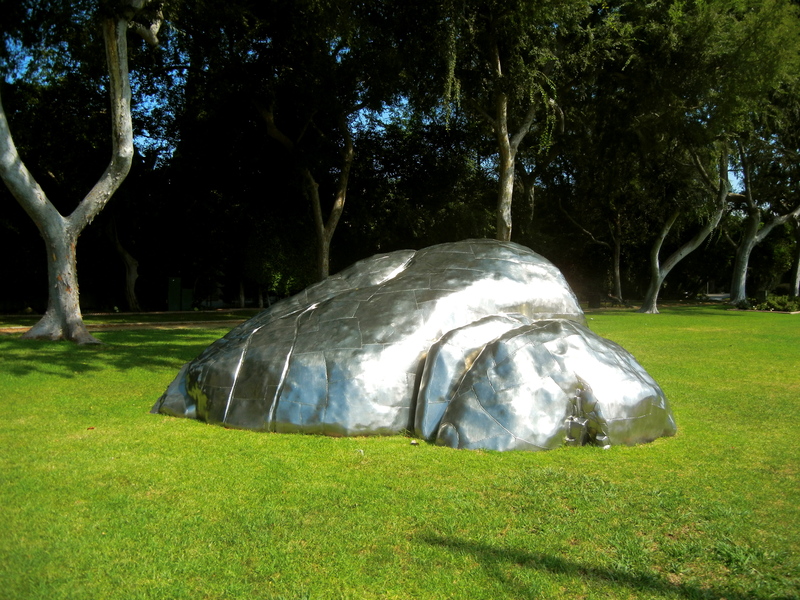 This steel boulder in Beverly Gardens Park is no exception. Unless you think it looks like a pile of poop, in which case, it still invokes an uncomfortable reaction, just not one that toys with the complexities of being a human in 2012. “Man isn’t so smart. 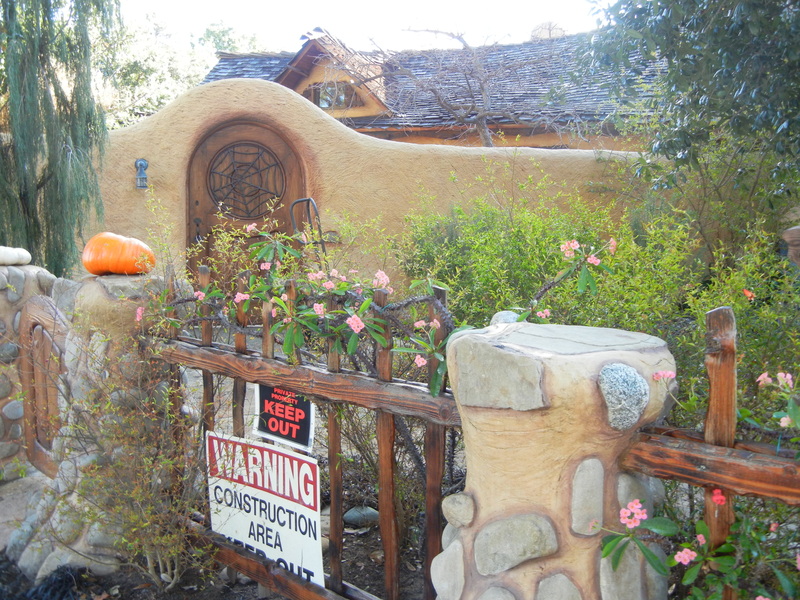 Thousands of years before he began to have afternoon headaches from trying to think, the desert tortoise had a streamlined body, turret top, retractable landing gear, and a portable house,” reads a lesson from the Desert Rat Scrap Book of Spadena House architect, Harry Oliver. Before Oliver’s 1946 inauguration of the publication, he was an art director in Hollywood where his ability to materialize his visions was recognized with two Academy Award nominations. 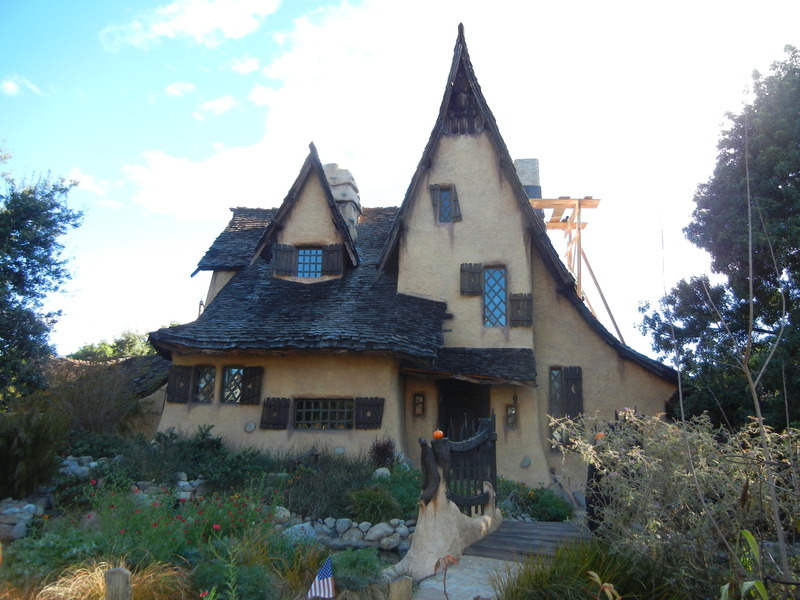 The Spadena House was originally built in 1921 as a set for a witch’s house at the Irvin Willat Film Studio in Culver City. 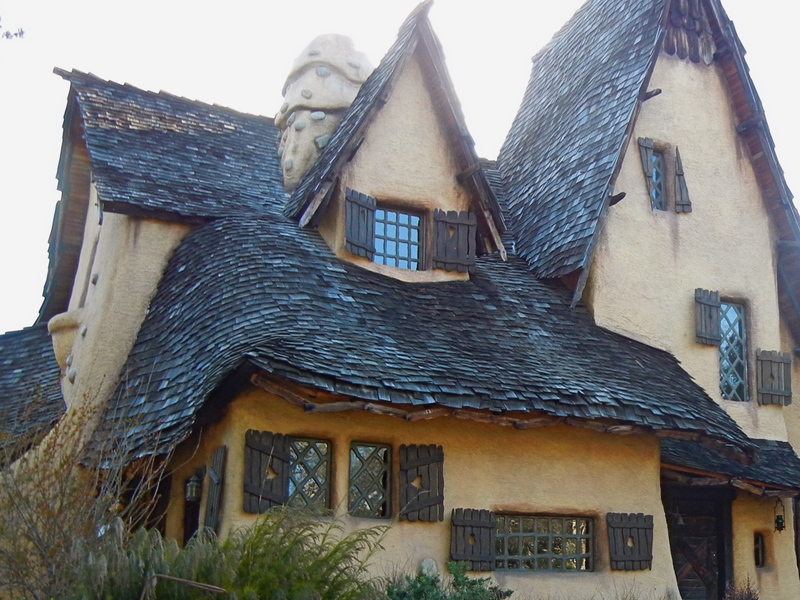 In 1934, it was moved to Beverly Hills and converted into a private residence. 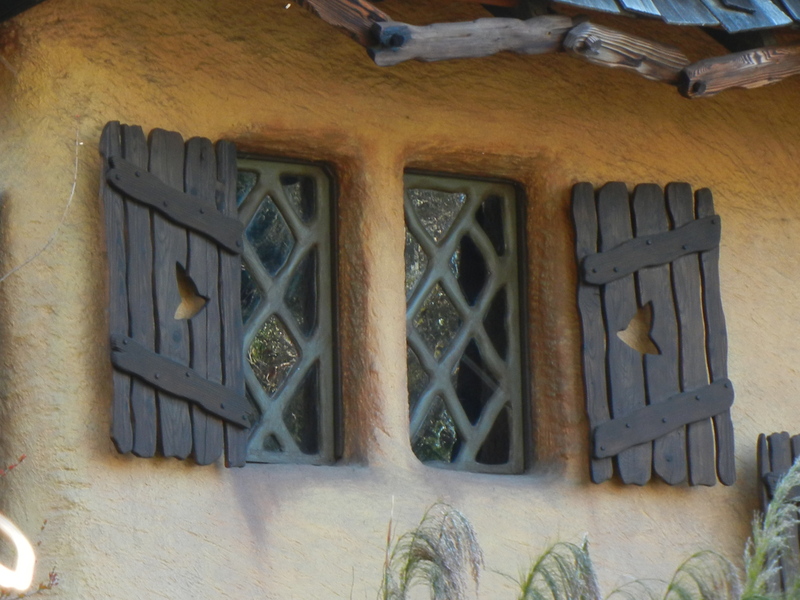 This is how the most famous example of Storybook Style architecture came to be at the corner of Walden and Carmelita. 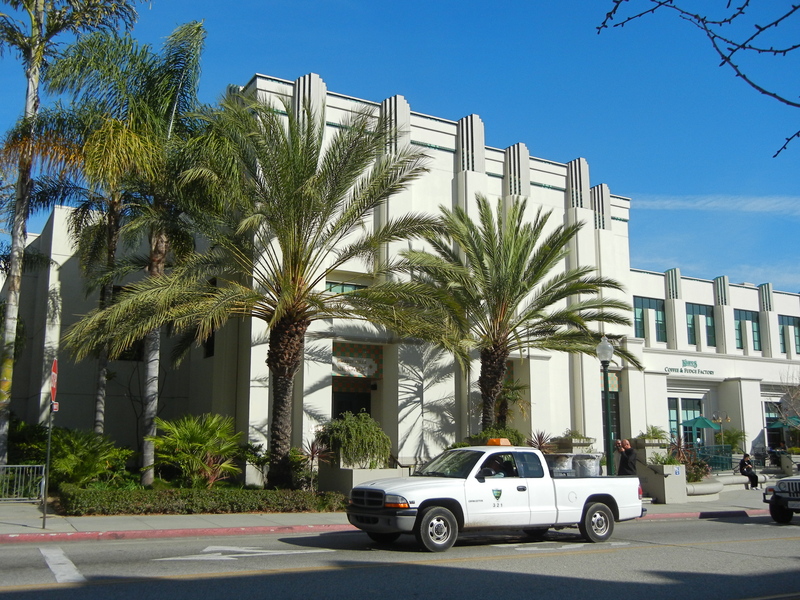 The Italian Renaissance-style City Hall of Beverly Hills opened to the public in 1931, and the library scooted right into its new civic center home though the library itself was established 3 years prior. 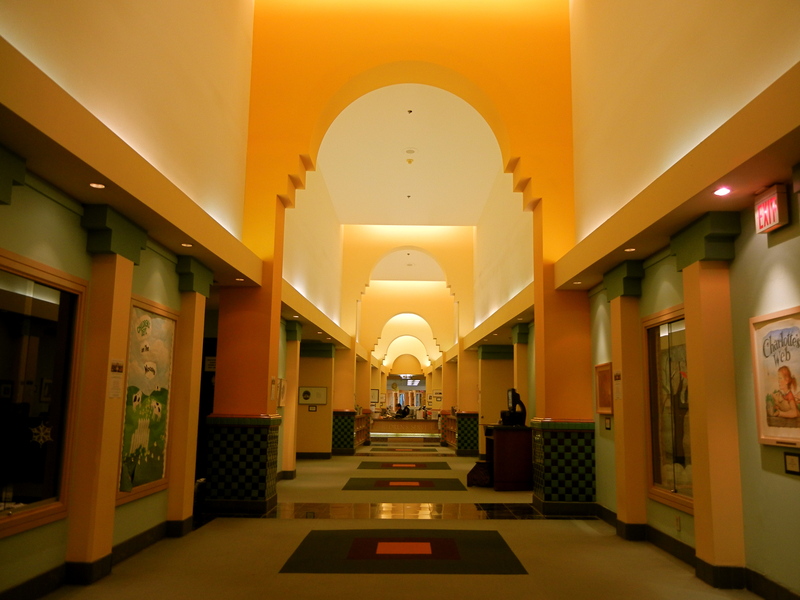 The Beverly Hills Public Library now houses 293,813 volumes and is undergoing a $3.5 million renovation to its children and teens areas. 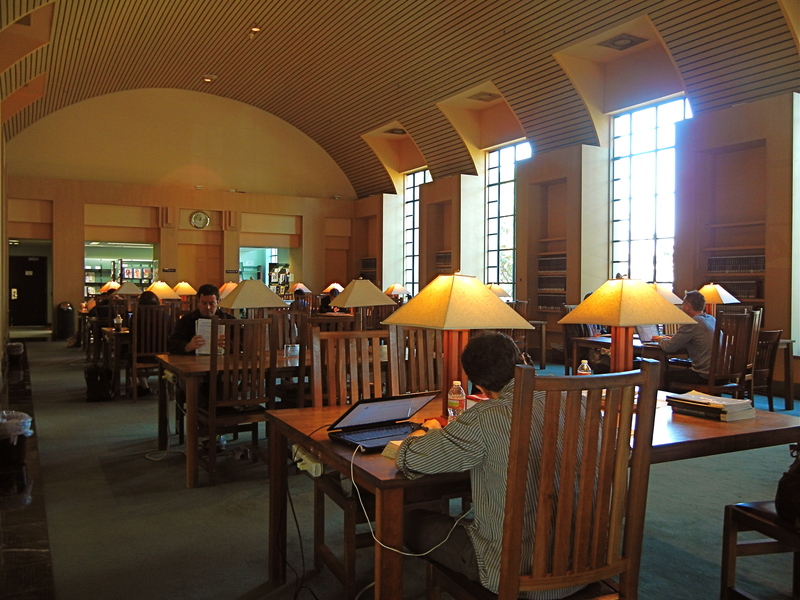 The library follows suit with the rest of Beverly Hills in class and patron demographics. There are shopping baskets available for the convenience of book borrowers. There’s an on-going monthly performance by the American Songbook enthusiast, Jim Jimirro, for Beverly Hills’s 17.7% senior population. 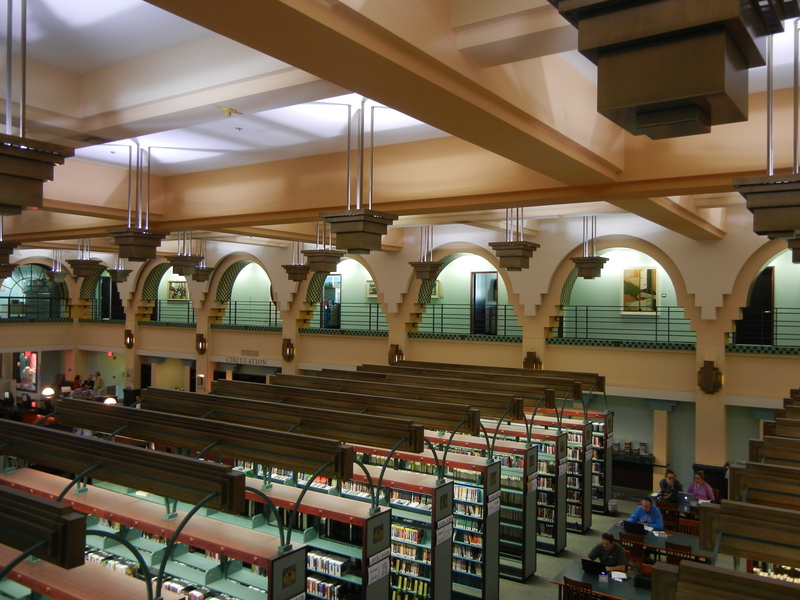 And there are 22 points under the library’s “Library patrons will not…” compared to Los Angeles Public Library’s 13. Franz West kicked open the art world door in Vienna during the “Activist Movement,” wherein artists attempted radical and disruptive political activism. I’m going to say West has gotten over that phase. 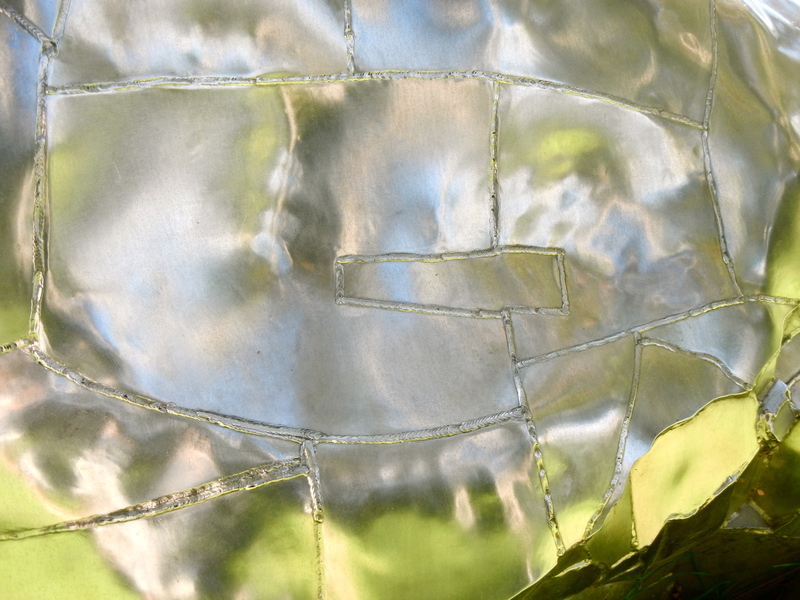 This 18-foot aluminum sculpture on the corner of Wilshire and Beverly has more of an Oh, the Places You’ll Go! effect than a political charge. Tags: Beverly Hills, Beverly Hills art, Dr. Seuss, Franz West, Public Art, salmon noodle, Sculptures, sculptures in Beverly Hills, The Unconscious, Wilshire Blvd.